A week closer to the finish line and I’m sure my list has only grown. 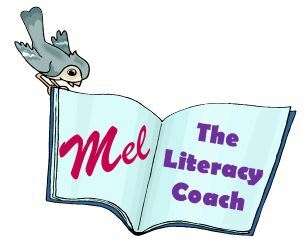 This one final part in the series might seem out of place, however, for Literacy and Numeracy Coaches (and all the other coaches) this time of year is important too. Whether we like it or not, we are leaders in the school and most administrations will expect that coaches are exuding the positive vibes all the way until the end. We are all busy! But being a leader means that there are extra items on the list of to-do’s. 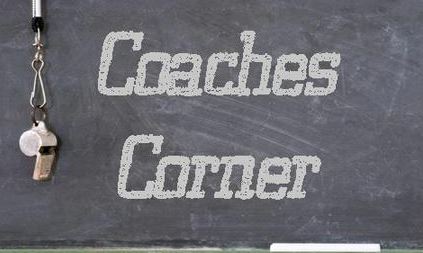 While coaches that still operate in the classroom should take note of the tips in part #2, it is important to keep these things in mind as well. Teaching staff are snowed under at this point: don’t pile on. Instead of sending out feedback forms or insisting that end of year processes are completed, offer ways to make life easier for others. You are busy as a coach, but this is just part of the job, so stick to it. You might be wondering what you can possibly do to support the staff at your school. You can’t possibly do their reporting or assessing for them. Taking extra supervision is out of the question because your timetable is already packed. There are administration expectations for staff and even if you don’t agree, it is your job to tow the line. Here are a few ways you can support the whole staff and the administration as everyone heads towards the last day. Pull out one or two resources (a printable worksheet, flash cards, instructions for class games) that would be useful for this time of year. Email the “printables” to all staff with a short explanation for how they could use them. Reduce the amount of reading material staff will need to get through by using dot points in any emails you have to send out. Check in on the beginning teachers and offer to lend a hand. There are a lot of whiners out there and it is easy to get caught up in the rush. But, do what you can to keep things positive. When the to-do list is getting longer and the time is getting shorter, it can be really difficult to keep the smile on your face. I’m not saying that you should ‘pretend’ you’re fine if you’re not, but there is something to be said for focusing on the positive. Here are some easy ways stay on the bright side. If there is anything positive happening – share it! Did your class work well? Did you make a breakthrough with a difficult student? Has a parent given positive feedback about a school event? Decorate your staff room according to the season (for us it’s Christmas) or photos of things that make you smile. Send a “funny” or inspiring quote out to the staff each week (or every second day). Leave a chocolate in everyone’s pigeon hole or on their desks. Instead of asking for more… remind everyone of activities or ‘wins’ that happened in literacy (or numeracy or pedagogy or ICT) during the year. We all work hard. We all want to hear that we have done a good job. Regardless of how busy you are, there are many people who contribute to your cause or classroom. It is important to keep everyone upbeat and letting them know that you appreciate their efforts is important for keeping people onside for next year. Try to get creative in the ways you say thank you. The principal often says “thank you” at public forums. If you say it, there might be a different response. Write thank you notes to the staff members who have welcomed you into their classrooms – mention something specific about the activities you did together. Give a small gift to the teacher aides and other support staff who have contributed to resource creation/ organisation or student needs (there are some great ‘pun’ type presents on Pinterest and other websites). Bring in a cake or treat for everyone to share (one staff room at a time) and leave a sign on the table that tells them what they have done for Literacy this year. Last week was busy with the final LN Team meeting for the year and some reports were due in. Some programs for next year were being compiled and end of year events were being organised. I compiled a short presentation which included a photo on each slide and I quickly talked through the different initiatives, classroom activities, PD events, newsletter items and work that we have done this year. I told the team I was proud of them. I thanked them (verbally, as a team) for the hard work they had done. I followed this up the next day with a chocolate and a small card for each. I wrote all the cards by hand and each commented on at least one specific thing that the team member did this year. Not that any of the team members would have compared cards, but no two cards were the same. This meant that each team member received a personal note from me that sincerely thanked them for their work. Many of them reciprocated with a short email, note or verbal thank you. Many said they had never expected to be thanked and it meant a lot to them to know that the extra time they put into the school is appreciated. We are nearly there!!! We are all very tired and very ready for the holiday!!! I can’t wait until 3:05pm Friday 13 December! I am sure there are plenty of other teachers and coaches who feel much the same. It takes a lot of hard work and time to ‘stay positive’ and ‘say thank you’ and ‘support’ at this time of year. But, the rewards are indescribable. Now, I have to go finish my lesson planning!!! How long do we have to go?